Hope for the best, and prepare for the worst. Funded by NASA Innovative Advanced Concepts (NIAC) program. 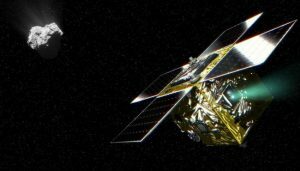 I am currently working on mission analysis for the new concept of asteroid exploration, “Dismantling Rubble Pile Asteroids with AoES”. 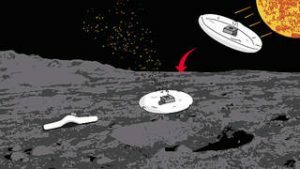 This mission concept is to explore and mine small asteroids using a light-weight soft robot. 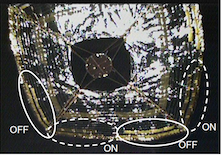 This spacecraft also takes advantage of its high area-to-mass ratio to control the orbit around asteroids exploiting Solar Radiation Pressure (SRP), which will be a dominant force around the small bodies. My current work is to come up with some orbital control strategies and to analyze and show feasible solutions of the mission design, picking out from this vast, untouched solution space. Some concrete results will show up soon. 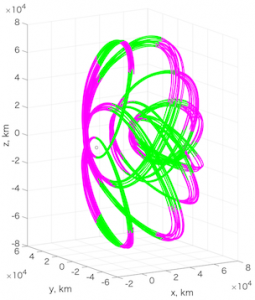 Our work leverages the knowledge of the circular restricted three body problem (CR3BP) and non-linear programming (NLP) in order to systematically and efficiently design quasi-halo orbits in the ephemeris model and perform stationkeeping analysis.The systematic approach enabled us to design over 13,000 of quasi-halo orbits and perform Monte-Carlo stationkeeping simulation for each, which has contributed to the complex mission design in the multi-body regime with constrained launch conditions. 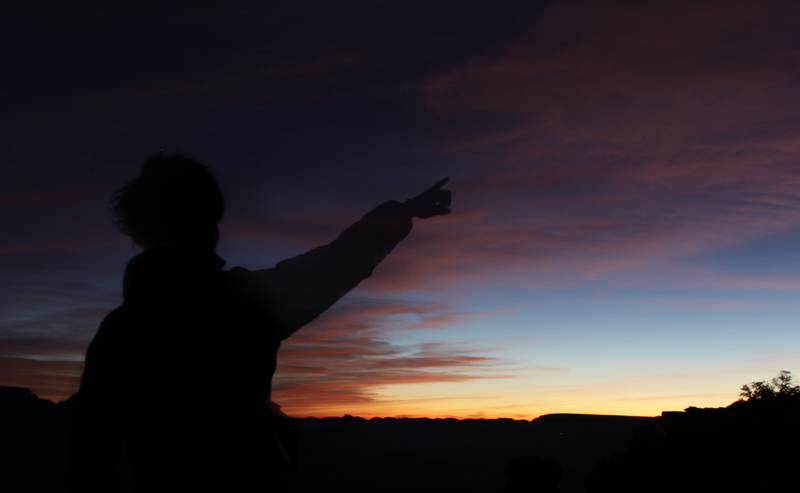 Funded by Grant-in-Aid for scientific research #17J09626 as a JSPS DC1 fellow (2017-), which is one of the most prestige fellowships for Ph.D. students in Japan. For EQUULEUS mission, in addition to its mission analysis, I have worked on the system design as a system manager. EQUULEUS is a 6U CubeSat scheduled to be launched in 2019 by NASA’s Space Launch System (SLS) Exploration Mission 1 (EM-1) (visit here for more detail). 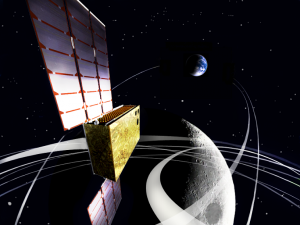 The CubeSat aims to reach the 2nd Earth Moon Lagrange point (EML2) by using low-energy transfer technique in order to conduct scientific observation as well as to demonstrate the low-energy orbit control technique via CubeSat. After the mission was officially selected by NASA in 2016 spring-summer, as a system manager, I have organized meetings, discussion, and some preliminary analysis for designing the overall spacecraft system from scratch. Given the CubeSat’s strictly limited capability and high-level mission objectives, we have searched an “optimal” solution to “what the spacecraft system should be like?”. 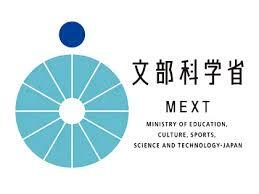 Japanese government MEXT Commendation for Science and Technology “Prize for Science and Technology (Research Category)” (2017). The University of Tokyo President’s Award for Students (2015).